Area locals enjoy coming by the Riverfront Park during the annual Sternwheel Festival, having a bite to eat, and watching live entertainment. Area local residents come down to the Riverfront Park during the annual Tribute to the River to view sternwheelers that stay docked during the festival. 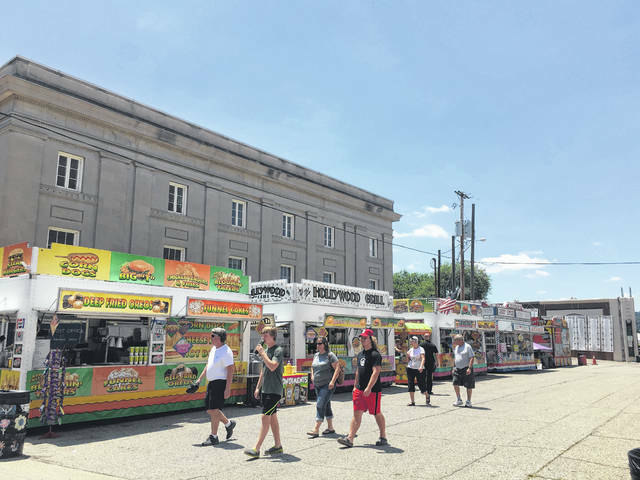 POINT PLEASANT — The Point Pleasant City council has been discussing the possibility of combining two favorite annual festivals. Mayor Brian Billings explained a special meeting was recently held including Billings, Councilwoman Janet Hartley, Councilman Gabe Roush, Butch Leport who was representing the Tribute to the River Festival, and Delyssa Edwards who was representing the Sternwheel Regatta regarding the possibility of combining these festivals. Billings reported Edwards and Leport explained their individual thoughts on the matter. 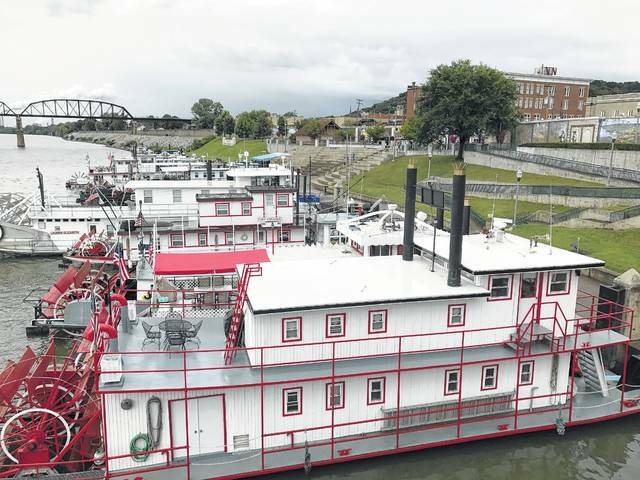 Typically the Sternwheel festival is held the last weekend of June prior to the Fourth of July and the Tribute to the River Festival is held during labor day weekend. Also in 2019, a Fourth of July City Celebration is going to be added to the festival agenda. Billings is having the parks and recreation committee take the reigns of the planning for the event. He advised they begin planning soon. The celebration will have a parade and fireworks. Regarding other annual festivals, Billings informed council members a meeting will be held with the Mothman Festival officials to discuss parking for the event. He encouraged council members to be involved with the event. Roush discussed tentative plans of the Halloween block party. The event will have refreshments, a haunted house maze, a costume contest, and a Halloween movie showing to name a few features. The block party will be held after traditional trick-or-treat. Bob Rulen was in attendance speaking in representation of both the Point Pleasant Wellness Committee/Walking Trail Committee and the Claflin Foundation to discuss a gazebo being added to Krodel Park. City Inspector Randy Hall informed council the start of the installation of the Point Pleasant Splash Pad is planned Sunday, Aug. 26. Hall said the prep for the drainage for the splash pad is moving along. City Clerk Amber Tatterson discussed with council updates on FEMA’s flooding assistance program and informed them the city’s hazard plan has been approved for another five years. Tatterson explained the Point Pleasant River Museum is still in a remediation period. Billings discussed with council adding more AED (Automated External Defibrillators) in certain locations, the city currently has four. Billings distributed Fort Randolph bylaws to the council provided by Ed Cromley. Roush informed council the city has received a grant to start kayak rentals at Krodel Park. He explained in the coming months the city will renovate the old swim area building to house and manage the rentals. The kayaks will be purchased during off season and if all goes according to plan, a grand opening will happen in the spring of 2019. Council approved to pay a bill to the company Dean Works for the RCP group LLC. Council approved to allow the town of New Haven to use the city’s third garbage truck warranting the city does not need to use it. Council approved to create a contract with the town of New Haven in order to provide them with the slide and diving board used at the Point Pleasant City Pool. Council approved to accept and adopt revisions to the drug and alcohol policy for city employees. Tatterson said all employees will receive a copy and the revisions will be highlighted, so all will be aware of what is expected of them. Council approved to let the Mason County 4-H Leaders hold their second annual Paddle Battle kayak race at Krodel Park. The council approved to hold a special meeting on Wednesday, Aug. 29, 1:30 p.m. to discuss certain ordinances in need of possible revisions. Council went into executive session to discuss personnel matters.